One of my favorite things is reading a book and finding a statement that makes me pause and reflect. It’s the highlighter worthy statement. It’s the one I might write about or use to start a conversation with a colleague. It’s a statement the author uses to convey the point of their writing. For me, it’s a statement that feels right because it connects with my own experiences. At work, I have an ongoing conversation with a few colleagues that the most rewarding department in the company is shipping. The product comes to them and leaves them, piece-by-piece. They check a box, mark it complete, mark it shipped. This is not the type of stimulating work Csikszentmihalyi mentions. But shipping personnel are gaining the sense of accomplishment by starting and completing work without interruptions. Here’s a challenging situation. Today’s office of matrixed organizations working on multiple projects, makes replicating the experience described by Csikszentmihalyi extremely difficult. I’ve been wrestling with the puzzle of transitioning IT work from batch-and-queue into single piece workflows. Part of that puzzle is finding solutions for how best to keep technology workers satisfied and inspired by their work. Project requests come simultaneously from multiple stakeholders including customers, product managers, and compliance teams. Project requests also originate from events like mergers, acquisitions, facility closures, and company reorganizations. All this results in what I call organizational entropy. It’s very difficult for a professional worker to achieve “a concentration so intense that no attention is left over”. One way to minimize the number of stops and starts is by level-loading assignments to workers by prioritizing work and regulating the in-take of new work from entering the flow of production. This takes discipline from the managers to see the entire system and to manage with an eye towards uninterrupted work. It requires discipline from the workers not be distracted by upcoming work or work not requested by the customer. If I think about my typical day, I start with a set of defined work tasks for what’s important and due. It takes concentration to complete a task from start-to-finish without pausing to look at emails, new requests, or other project assignments. But when I do stick to the plan and complete the work, I find the work more rewarding. Picture this – “Concentration so intense that no attention is left over”. Office squirrels might go extinct. During summer I turn into a recreational gardener hoping to grow a few vegetables for some delightful dinners. The first couple of summers I learned plants need plenty of sunlight and soil that drains well. This year I witnessed firsthand the effect of overcrowding in a garden plot. In my exuberance to increase my vegetable harvest, I overcrowded my plot at the community garden. A bell pepper plant was quickly overshadowed by squash, zucchini, and tomato plants. 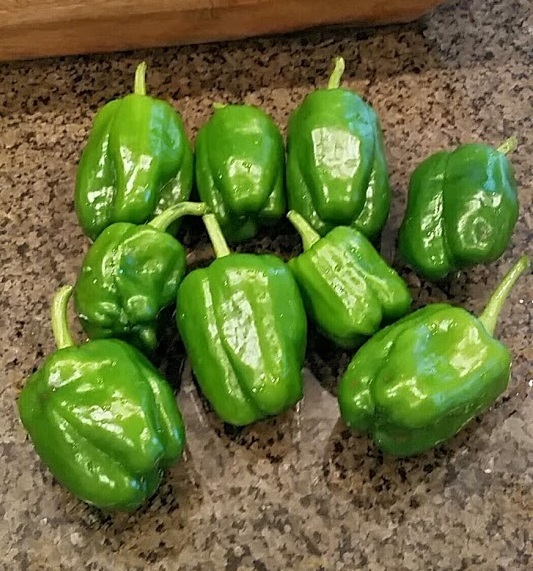 It stayed green, but did produce a single pepper from May through July. After an insect infestation killed the squash and zucchini I removed all the surrounding plants to leave the bell pepper plant alone with nothing else to compete for sunlight. The result from this single plant was over 35 peppers during August and September. Like a gardener, I want to know how to get more fruit from my labor at work. I’m passionate about working smarter, finding efficiencies, and eliminating wasted outputs. My experience with the pepper plant this summer reminds me of load leveling work in our groups through prioritization. Too many plants competing for sunlight is analogous to an overload of active projects that force our people and equipment into constant context switching. The resulting work output is delayed and often suffers more quality problems due to the lack of focus. Our appetites for the amount of work we want to produce (collecting fruit) typically far exceed our ability to produce work (bearing fruit). Managers have to protect the capacity of people and equipment by releasing work when it can flow uninterrupted. Sometimes expanding capacity is an option, but other times, we need to work within the capacity boundaries that exist to produce work in a controlled and focused cadence. Protect people and equipment so they can deliver more fruit.